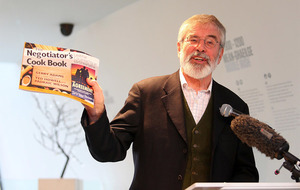 SINN Féin had a virtual "diners' club" organised during Stormont's lengthy peace process talks, Gerry Adams said at the launch of his new cookbook. 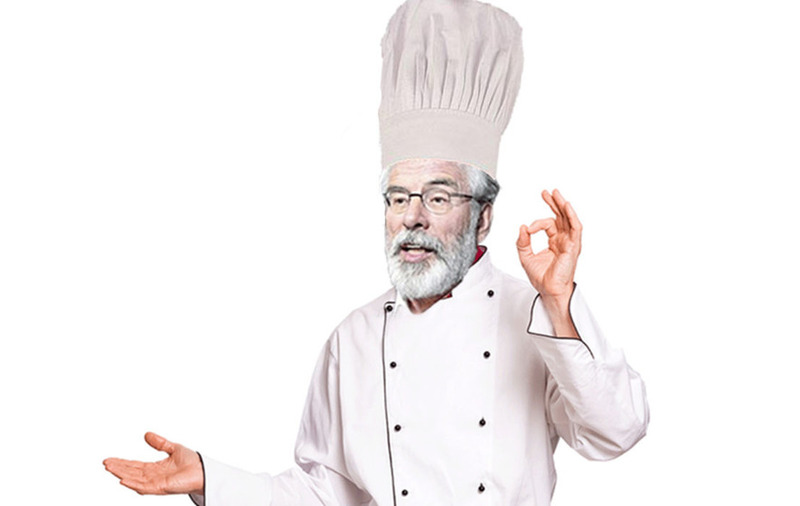 The former party president claimed the British government was reluctant to feed them during dialogue leading up to the Good Friday Agreement in 1998, so republican negotiators took matters into their own hands. 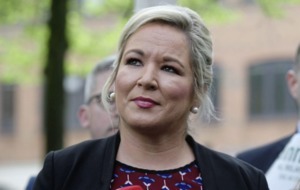 Sinn Fein's northern leader Michelle O'Neill, former Stormont minister Caral Ni Chuilin and senior party figure Gerry Kelly's sister have contributed recipes to the new book. 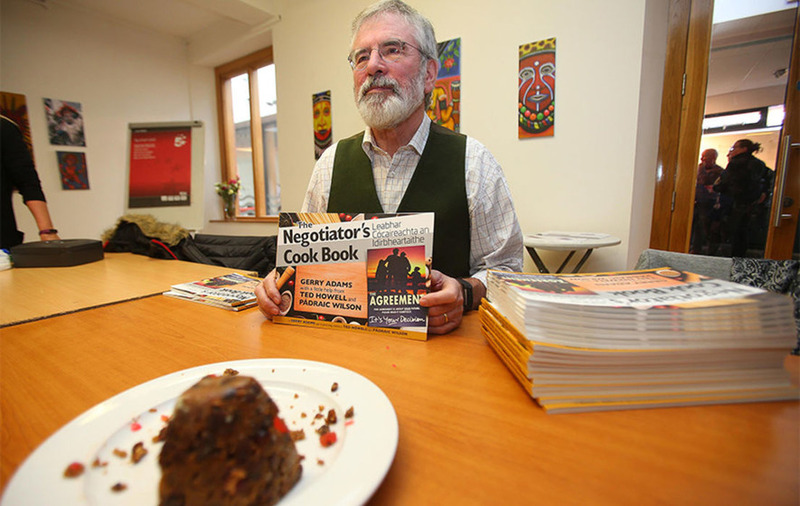 The Negotiator's Cookbook was launched ahead of the festive season to raise money for Sinn Féin and Mr Adams said he had enjoyed writing it. 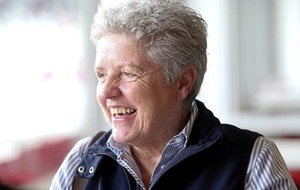 Dedicated to the memory of Sinn Féin negotiator Siobhán O'Hanlon and the party's talks team, it it split into sections including breads, salads, pies, mains and desserts, and features recipes such as Green Pea soup, 'Chilli McCarney' and Apple Tart. During the 1990s, republicans were negotiating in London and former prime minister Tony Blair's staff would occasionally order pizza or Chinese food. 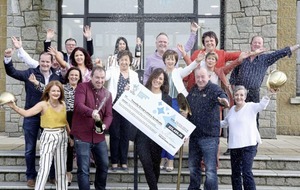 Mr Adams said: "When we came back home Ted (Howell, a party worker) started to bring up bits and pieces of grub and that developed until we had a diners' club in room 316 (at Stormont). "Pádraic (Wilson), who was part of that team, starting bringing desserts. So what I have done is to put those recipes together here. "The attraction of them is you can make them the night before, which is what happened obviously, and then transport them to wherever you want." 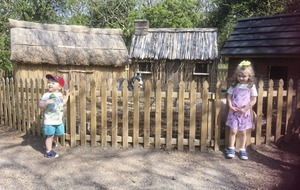 Mr Adams said the British government had been historically reluctant to feed any negotiators, unionist or nationalist, during long hours of sitting about, strategising, discussing or debating. 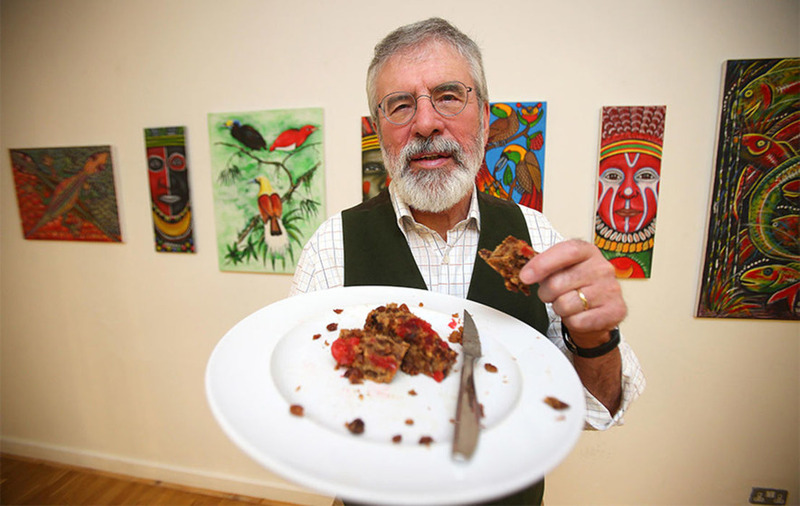 "I told them once that we Irish have an ancestral hunger," he wrote in his foreword. "Some of us also understand the social importance and mutual relationship building benefits of breaking bread together." 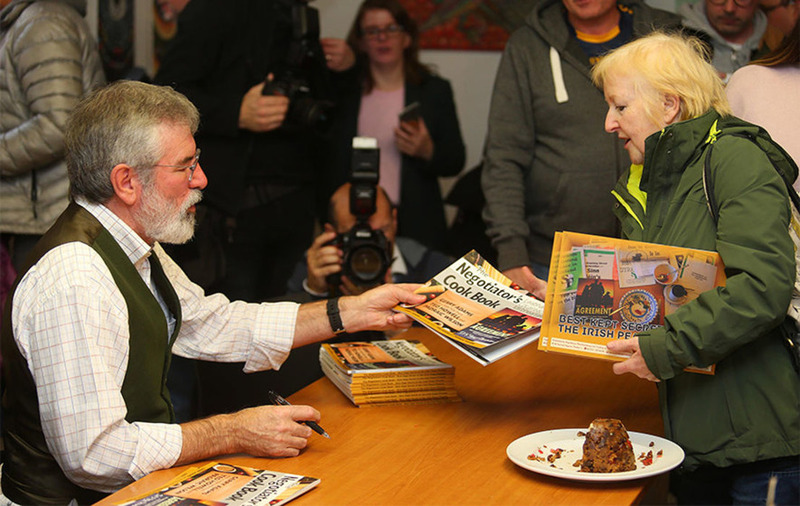 He launched his book at An Culturlann centre on west Belfast's Falls Road and passed around pieces of his fruitcake-style pudding, generously laced with alcohol, which were generally declared as excellent. Mr Adams has often tweeted pictures of his efforts in the kitchen. He has already published a number of other books. 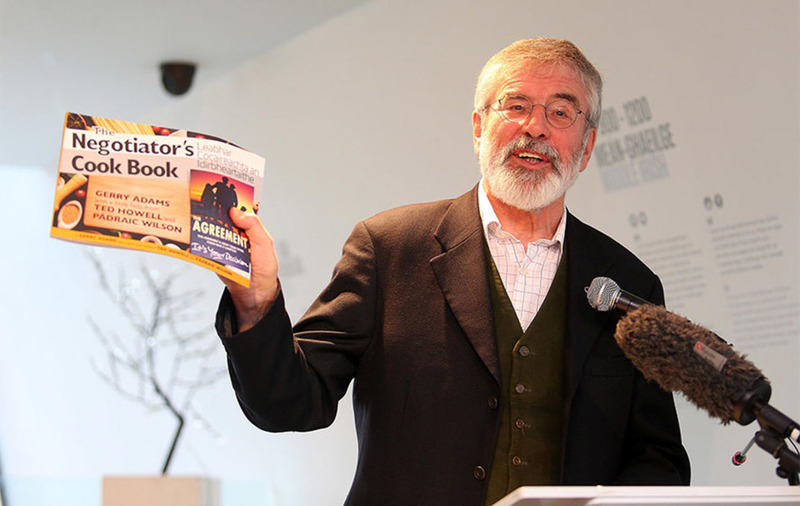 The former Sinn Féin president stepped down earlier this year after around 34 years at the party helm. He was elected in 1983 and was the longest-serving leader of any political party in Britain or Ireland. Mr Adams resigned as MP for West Belfast and won a seat in the Dail in 2011, representing the border constituency of Louth. 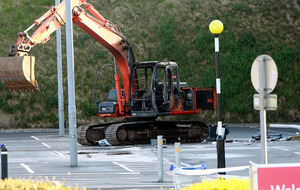 Ted Howell and Pádraic Wilson were last week mentioned during evidence by former Sinn Féin finance minister Máirtín Ó Muilleoir at the RHI inquiry. 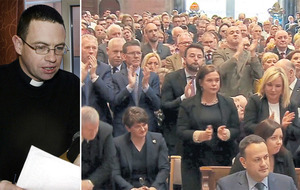 Mr Howell, a member of the party's ard chomhairle, was consulted by the minister as chair of a “crisis committee” dealing with the fallout from the botched green energy scheme, while documents were also sent to Mr Wilson, a former officer commanding of IRA inmates in the Maze Prison.